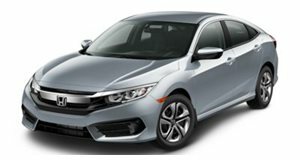 A report from Japan&apos;s Nikkei.com states that Honda will stop selling the Civic sedan in its home market as soon as existing inventories run out. The reason behind this move is because lately customers have been shifting their focus towards MPVs and more compact vehicles. As a result, the popularity of the Civic has dwindled substantially on the island nation. An example of this is that only 452 of the sedans were sold in Japan during the month of October. Honda states that it&apos;s still committed to offering the Civic sedan in other markets, such as the United States and Europe, where sales figures are still quite high. In addition, both the U.S.- and Euro-spec Civics are set to bow sometime next year. The sedan variant will continue to be manufactured at Honda&apos;s Suzuka plant for export purposes, but it&apos;s still unclear whether Honda will continue to import the European-built Civic Type R Euro hatchback into Japan.